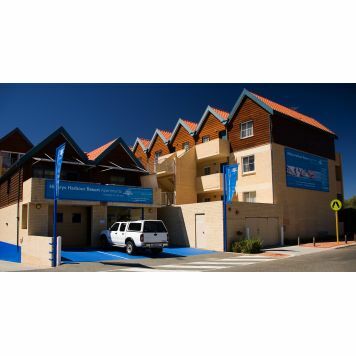 Situated right on the coast overlooking the magnificent Indian Ocean, Hillarys Harbour Resort is Perths premier Marina Resort. 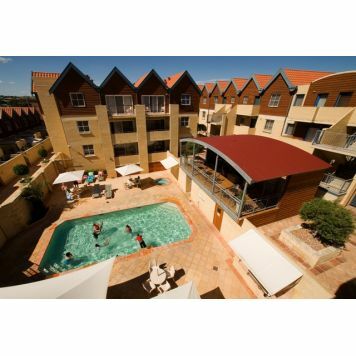 With a choice of 1,2 & 3 bedrooms these spacious fully self contained apartments are the perfect choice for any traveller. 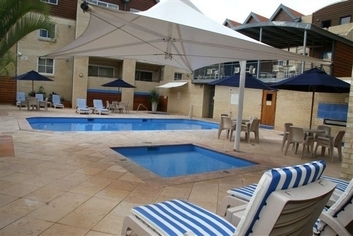 The Resort is located within 2 minutes walking distance of over 30 specialty shops, cafes, restaurants and major tourist attractions, including AQWA (The Aquarium of Western Australia)& The Great Escape (Childrens Water Fun Park) at Sorrento Quay. It is also the gateway for the ferries departing to Rottnest Island as well as boasting some of the safest beaches in Perth. Other activities within a short distance to the resort include, deep sea fishing, scuba diving, golf, tennis, sailing, harley davidson rides or whale watching. Guaranteed check in time is 1400. If arriving after reception hours, after hours arrivals details are available. 1 undercover parking bay per apartment included in the tariff. 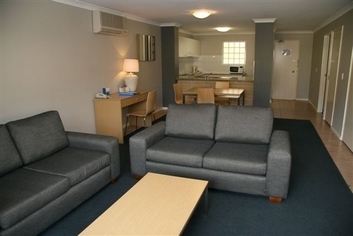 From the Perth CBD,take the Mitchell Freeway north. Exit at Hepburn Avenue heading west. (Sign posted to Hillarys Boat Harbour)Follow Hepburn Avenue to the Boat Harbour. We are located on the western point in the Harbour, opposite AQWA. Trains depart regularly from the city. Exit Whitfords Stations and take a bus or taxi to the Resort. Buses from the City to Whitford/Warwick Stations, then take a bus to Hillarys Boat Harbour. From the Airport. Follow Reid Highway until you get to the Mitchell Freeway. Take the exit North to Joondalup. Take the Hepburn Avenue Exit West, follow directions to Hillarys Boat Harbour. We are located on the Western Pointin the Harbour opposite AQWA.